Believe it or not I’ve never made a sheet cake! Now I see the appeal! 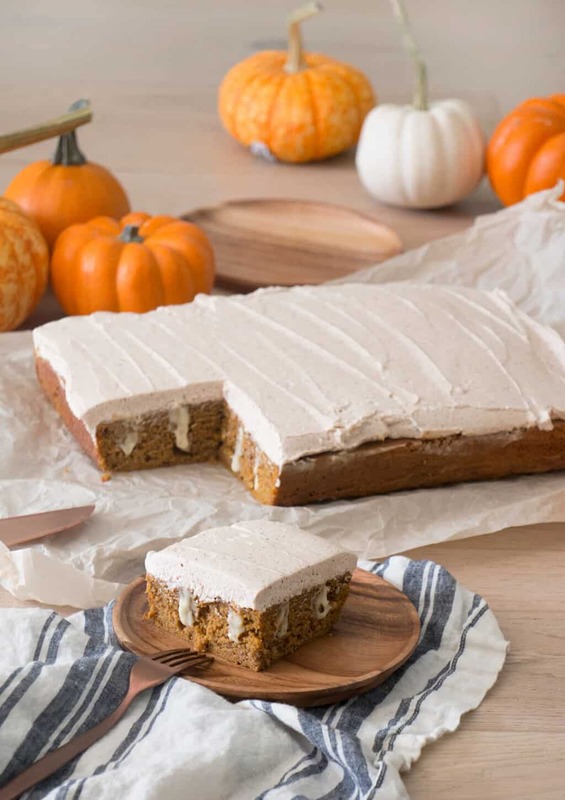 So easy with all of the taste and you can slather on just the right amount of frosting so every bite is perfect. It’s also a cake I don’t feel bad about cutting into and eating, not precious at all. In case you’re wondering how many holes to poke in the cake, the answer is as many as possible! The rum-spiked custard is so so good! Preheat the oven to 350 degrees F. Line a 9 x 13 baking pan with parchment paper and add 10 cupcake papers to a cupcake tin. Start off by sifting the dry ingredients (not the sugar) together and give it a good whisk. Mix the buttermilk, vanilla, orange blossom and sour cream in a glass and set it aside. Cream the butter and sugar together in a stand mixer fitted with a paddle attachment for approximately 4 minutes on medium. Add the eggs one at a time making sure each is incorporated well before adding in the next. Go ahead and add your flour mixture in three batches alternating with the milk mixture. Make sure you start and end with the flour mixture. Don’t over mix, just beat until combined. Mix in the pumpkin puree and scrape down the sides of the bowl to make sure the pumpkin is well incorporated. Once the batter is done, pour it into the cake pan and the excess into the cupcake pan. Make sure its lined with cupcake papers! Bake the cake at 350 degrees for about 30 minutes or until the center is set. Bake the cupcakes for about 15-20 minutes at the same temperature. Allow the cake to rest for about 10 minutes, then transfer it to either a wire rack or a large plate. Move the cake onto parchment paper and allow it to cool to room temperature and set the cupcakes aside to cool too. For the vanilla pudding; Whisk together the sugar, cornstarch, and salt in a saucepan. Add the milk into that sugar mixture and stir until it is a paste. Add the egg yolks to the saucepan and cook the mixture on a low heat. You will need to stir this continuously and let the mixture thicken but be careful not to over boil. Once it is thick enough, turn the heat off and add the butter, rum and vanilla. Mix it up until it is well incorporated then transfer it to a bowl. Create an airtight seal with plastic wrap and place it in the refrigerator for about an hour to chill. Now for the browned buttercream; Cook the butter over medium heat while stirring frequently until the butter is golden brown. Transfer to a bowl and whisk in spices then allow it to cool to room temperature. Once your brown butter has cooled to room temperature, in a standing mixer fitted with a paddle attachment, pour the butter in the bowl and beat it on low speed. Sift the confectioners sugar into a bowl to make sure there are no lumps! Once you have done that, add it into the bowl with the browned butter and continue mixing on low speed. At this time you can also drizzle in the vanilla and cream. 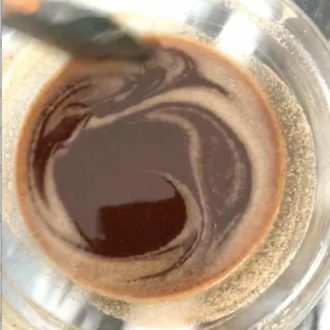 Continue mixing until desired consistency is reached. It’s time to assemble your cake! 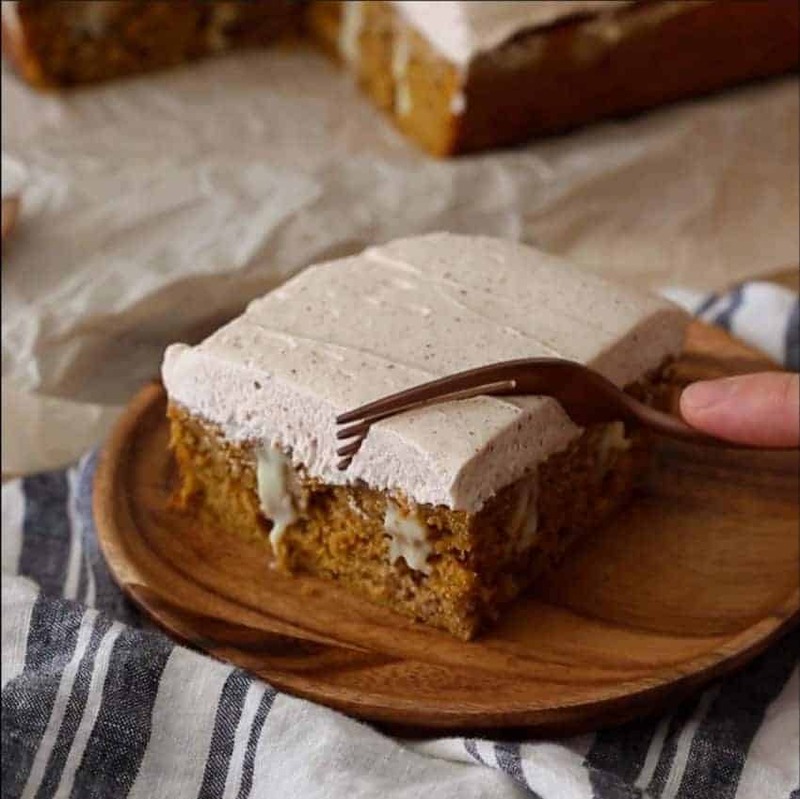 Use a round dowel or any other handy kitchen tool to poke holes into the cake. You’re going to want to poke holes all the way up and down and across your cake. 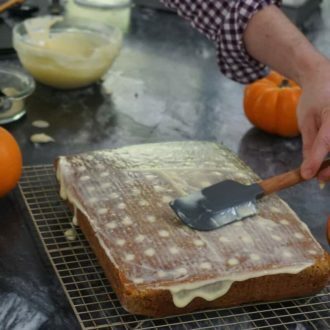 Once you have poked your holes, use a knife or and offset spatula to spread the pudding over the sheet. Make sure to press the pudding into the holes. Remove any excess with a spatula and allow it to soak in. For your final step, smooth on that buttercream! 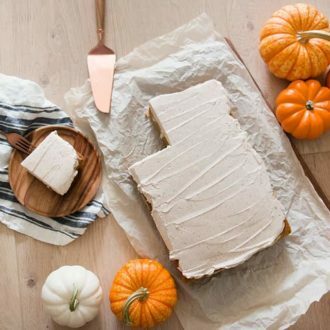 Make a nice even coat and then you are ready to enjoy your pumpkin poke cake! Pumpkin cake poked to heaven and back then filled with homemade vanilla pudding spiked with rum and topped in a spiced brown buttercream! Preheat oven to 350 degrees. Line a 9 x 13 baking pan with parchments paper. 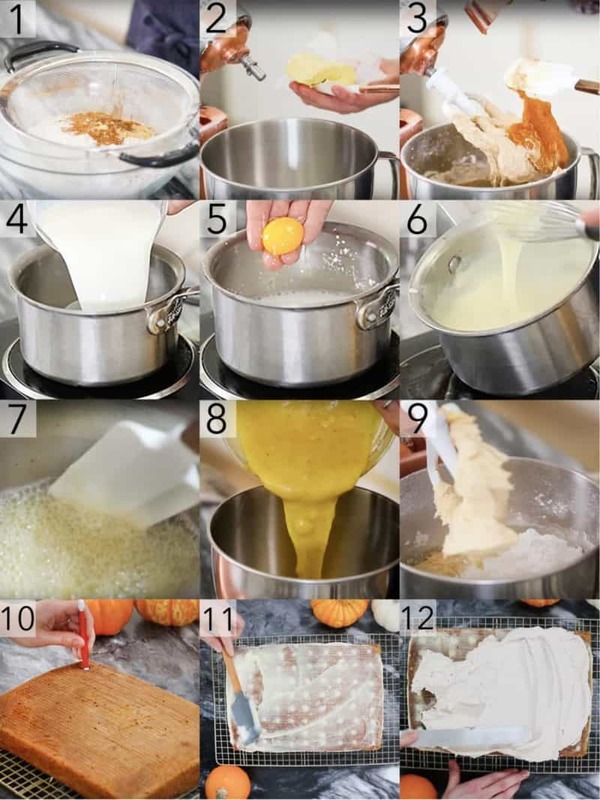 Add 10 cupcake papers to a cupcake tin. Mix the buttermilk, vanilla, orange blossom and sour cream in a glass and set aside. Sift the dry ingredients (except the sugar) together and give a good whisk to mix well. Cream the butter and sugar together in a stand mixer fitted with a paddle attachment for approximately 4 minutes on medium. Add the eggs one at a time making sure each is incorporated well before adding the next. Add the flour mixture mixture in three batches alternating with the milk mixture. Making sure you start and end with the flour mixture. Do not over mix, just beat until combined. Mix in the pumpkin puree. 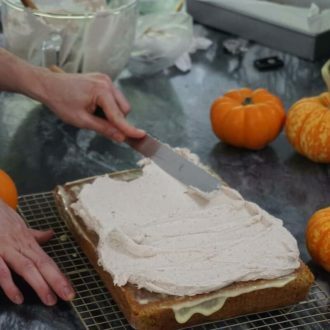 Scrape down the sides of the bowl and make sure the pumpkin is well incorporated. Pour batter into cake pan and excess into cupcakes. Bake the cake at 350 degrees for about 30 minutes or until the center is set. Bake the excess cupcakes for about 15 to 20 minutes at the same temperature. Allow cake to rest for about 10 minutes, then invert onto either a wire rack or a large plate. Move to parchment paper, allow to cool to room temperature. Set the excess cupcakes aside to cool. Add milk into the sugar mixture. Stir until a paste. 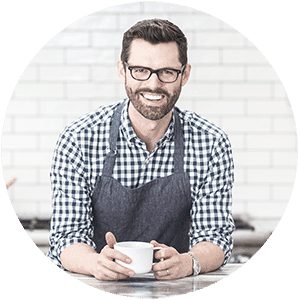 Combine milk and egg yolks. Cook the mixture on a low heat, while stirring continuously. Let the mixture thicken and don't over boil. Turn off the heat. Add butter, rum and vanilla. Transfer mixture to a bowl. Create an airtight seal with plastic wrap. Move to the refrigerator for about an hour until chilled. Cook over medium heat, while stirring frequently until butter is golden brow. Transfer to bowl and whisk in spices. Allow to cool to room temperature. In a standing mixer fitted with a paddle attachment, beat the butter on low speed. Add sifted confectioners' sugar. Continue mixing on low. Drizzle in vanilla and cream. Mix until desired consistency is reached. 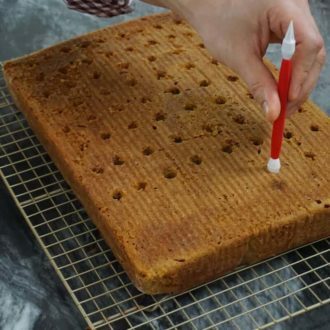 Use a round dowel or any handy kitchen tool to poke holes into the cake. Use a knife or offset spatula to spread the pudding over the sheet. Press into the holes. Remove excess with a spatula and allow to soak in. Hello! This looks so good. But I don’t use confectioners sugar. What can I use instead? Thank you. If you don’t want to use confectioners sugar, just eat the cake with the custard on top and skip the buttercream all together! Just made it and it tasted like heaven!! When do you add the rum to the pudding mixture? Also, any recipe recommendations for the rum glaze for the cake to make it extra boozy? Add the rum when you are mixing in the vanilla! For an extra boozy glaze, combine rum with a simple syrup and spices until you get a desired consistency! Hey! I followed the browned buttercream recipe and my frosting came out a little darker than yours and the consistinsey is kind of soupy. Do you know why? If the consistency isn’t right, just add a little more confectioners sugar! Can’t wait to try this cake! Do you think rum extract instead of regular rum would work? You could sub in some of the extract instead of using the alcohol. You could also cook the rum through to reduce the alcohol but still get that flavor! I made it for a birthday cake, and the taste was awesome. I baked it in a round pan, however, when I poked the holes, the vanilla cream did not reach deep enough and when I cut it, it was only half way. Is there a way the cream reaches the bottom of the pan? Other than that, the cake was super moist and you could taste an explosion of flavors between the nutmeg, cloves, all spice and the cinnamon. I will definitely bake it again!